Brenda is the heart and creator behind Healthy Choice Provisions, a Townsville based business making gluten and dairy free artisan treats. 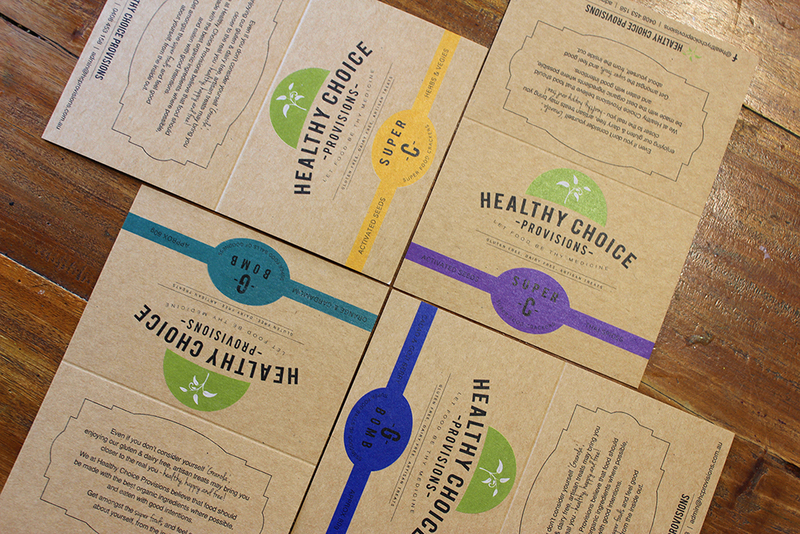 Working with an existing logo and packaging for the already successful product ‘Super G’ Granola, Brenda asked us for assistance with brand development including the design and printing of new packaging (G Bomb balls, Super C crackers, Chai Tea) and creating consistency with her brand on Facebook. Allison from Alla Designs is wonderful to work with. Her warm and friendly approach along with her great eye and feel for your business make working with her a lovely experience. We were definitely on the same page as far as the designs for my labels and her guidance for my face book page as well as knowledge of her craft really helped me with my business. 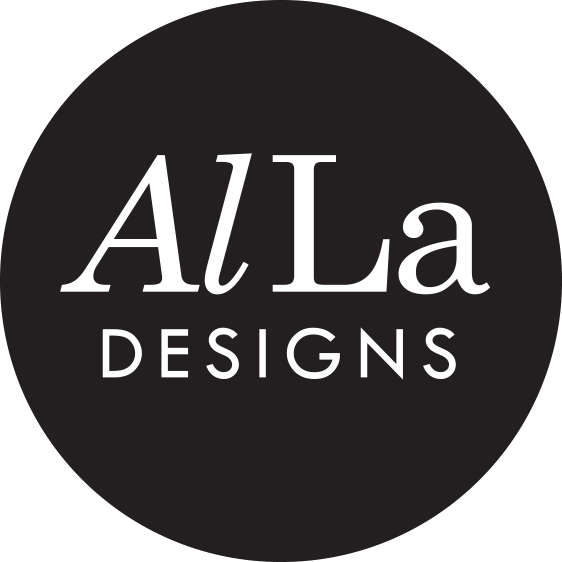 I receive many compliments regarding the look of my products and I would highly recommend Alla designs for enhancing your design ideas for your business. The Super C crackers and G Bomb balls are packaged in bags with the tag designed by us, printed on natural craft card, full colour with spot white to make the leaf in the logo stand out. To create an image to show how Brenda’s artisan granola could be enjoyed, we styled the product (date, walnut and cacao granola) with fruit and yogurt, creating a relaxed, clean vibe. 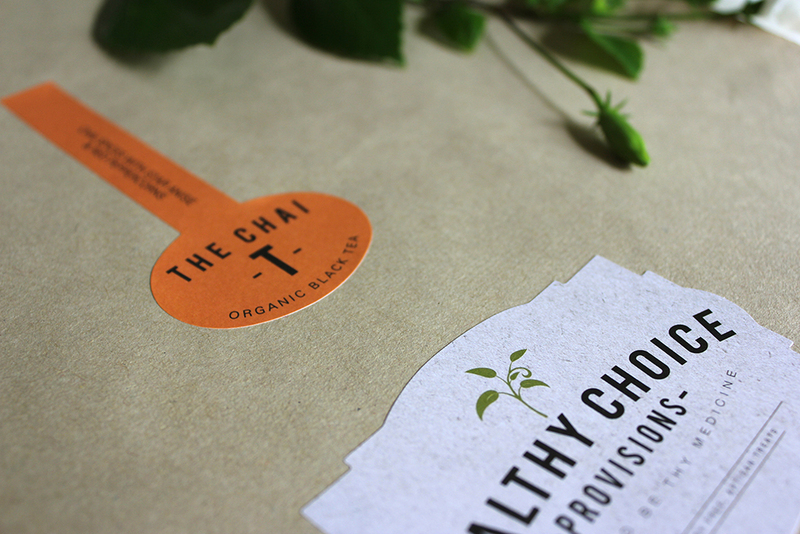 The ‘Let food by thy medicine’ tag looks great in a simple ribbon graphic, not taking away from the feature image. 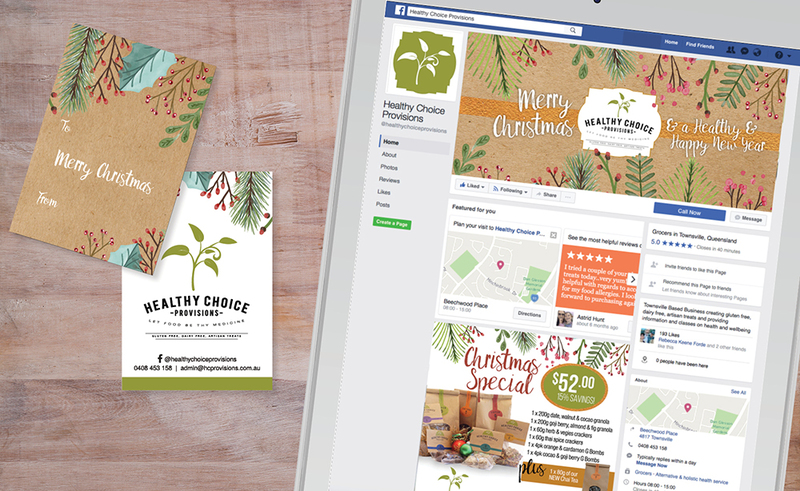 For the Christmas 2016 special pack offer we designed and printed gift cards and designed a advertisement for Facebook and festive profile and cover images for the page.